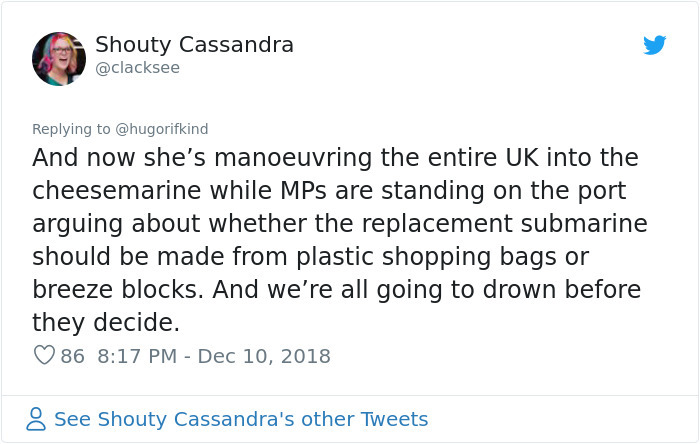 However, despite the absolute shitshow that is currently unfolding, the Brits haven’t forgotten one of their more positive national characteristics. 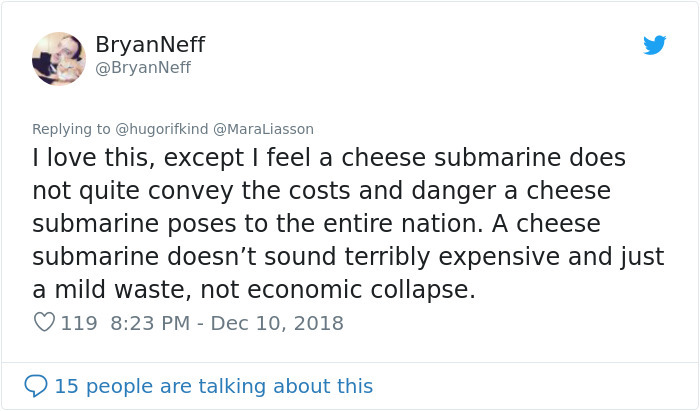 Bitingly dark and cynical humor is a reflex response to crisis so while their government continues to blunder from one humiliation to the next, people try to see the bright side by at least having a laugh about it. 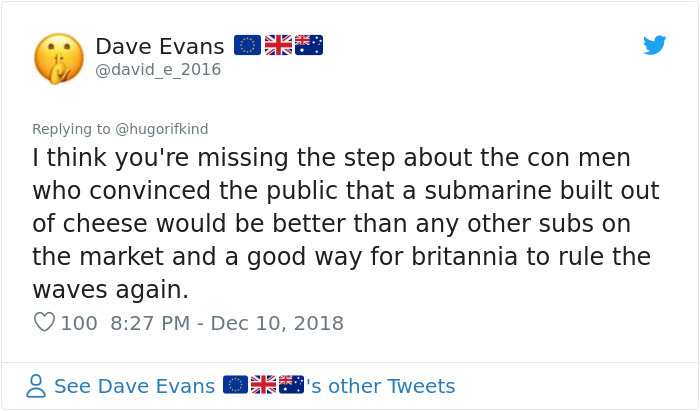 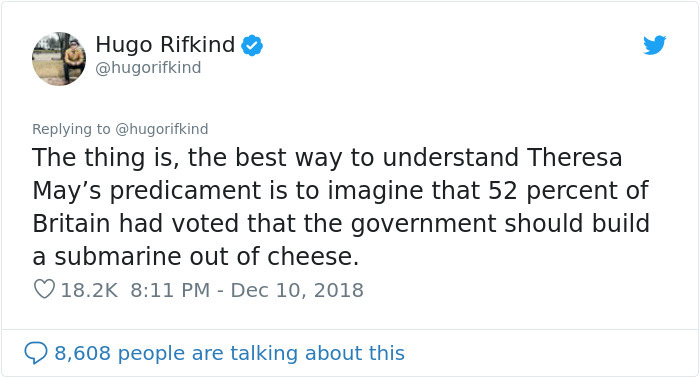 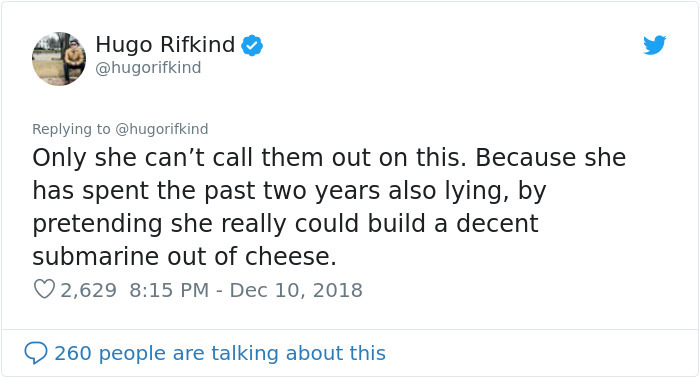 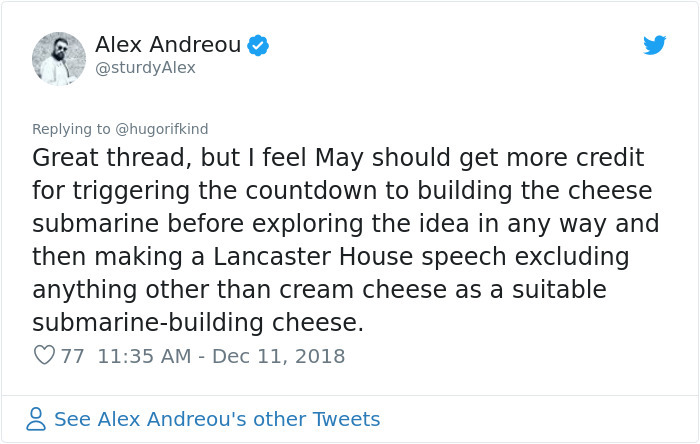 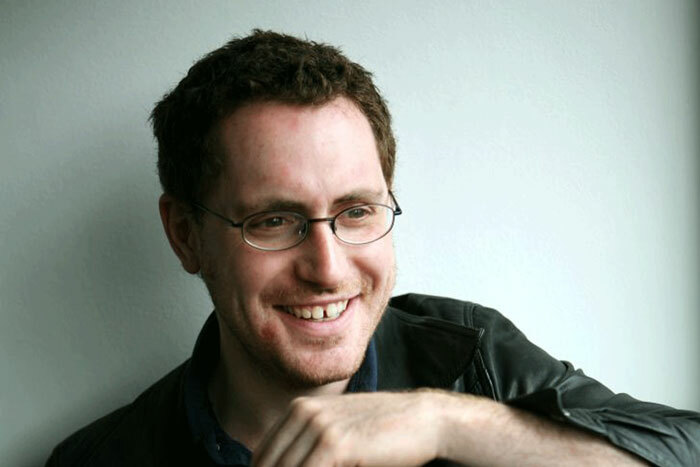 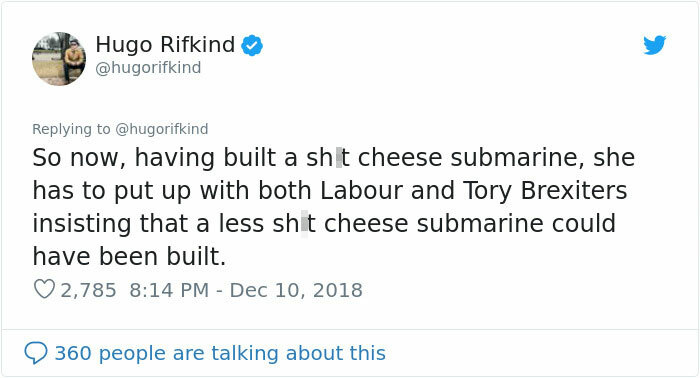 Hugo Rifkind, son of a conservative politician and columnist of The Times, came up with an amusing analogy on Twitter recently, comparing Brexit to a ‘Cheese Submarine.’ The thread highlights the absurd self-delusion that Brexiters have been engaged in over the past couple of years, and it went viral because it is true, in the comically-tragic kind of way that Brits just really relate to. 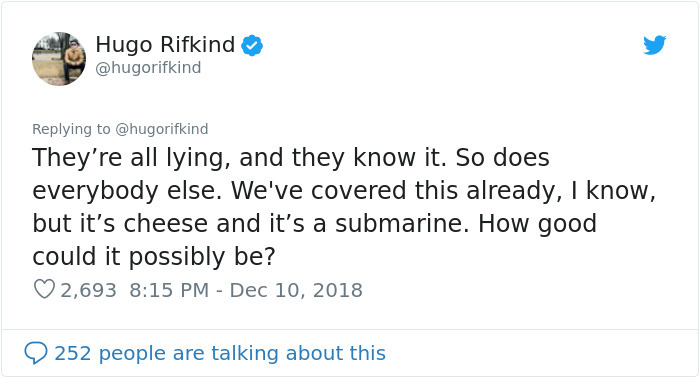 The responses to Rifkind’s thread were even better though. 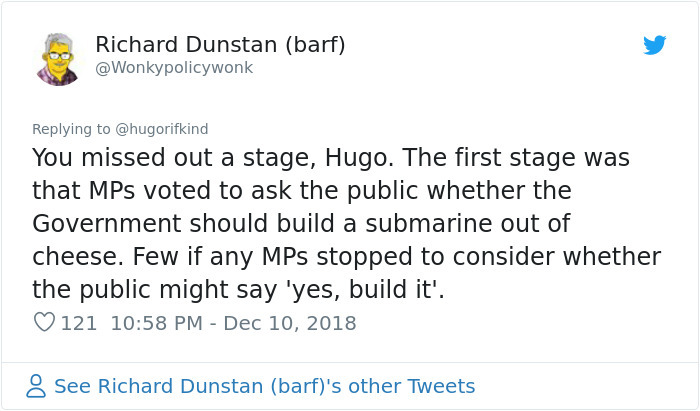 Everyone loves a good pun, don’t they? 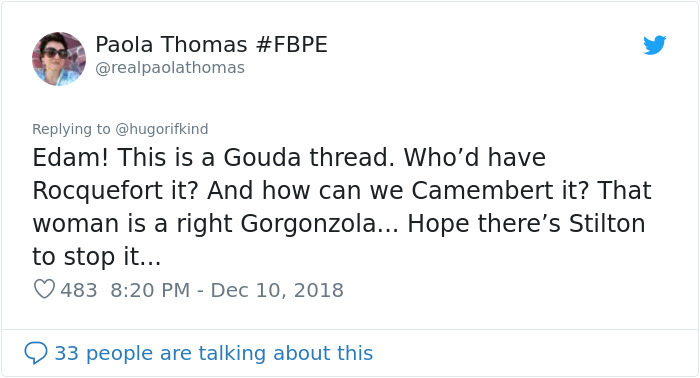 Cheese and its many different varieties lends itself well to a social media pun showdown, and ricotta say, people didn’t disappoint!